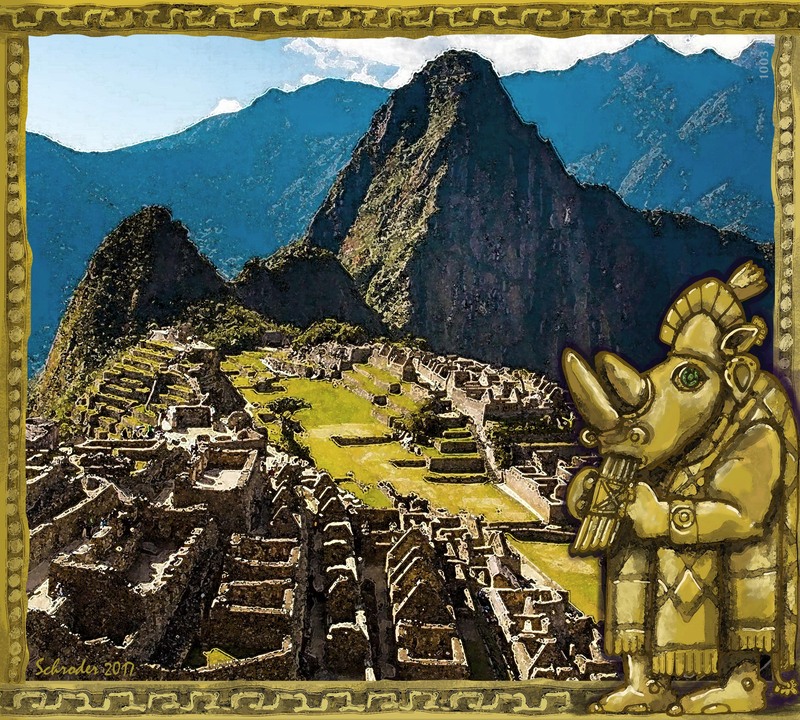 Machu Picchu, a ruined Inca settlement on a mountaintop in Peru, was discovered July 24 in 1911 by Hiram Bingham. He was guided by a local boy, though the native people had no particular interest in the site. Many visitors today feel it has a mystic quality to it. What importance it had for the Incas is still not known, despite the astounding engineering it must have taken to create it. The Spanish killed the last Inca in 1578. Rhinos are not native to South America, but We do get around.